Everybody wants to get the best results for their workouts. No matter whether you are working out to lose weight or enjoy functional strength and a better physique, you will want to make sure that you are doing everything right for the best results. For many beginners, however, it may feel as though there are so many things to remember that they will not know where to begin. They may confuse training methods and feel discouraged when it comes to training in an effective way. Fortunately, one of the best ways to train is also the easiest to remember, and you’ll find yourself enjoying fast results in as little as a few weeks. It is known as the pyramid training method, or, simply, the pyramid method. As the name implies, pyramid training involves picking a certain number of reps for your workout, and then working down on each subsequent set. There are many different types of pyramids that you can use to exercise, all with different rep ranges, bodybuilding combos, and generalized hypertrophy to ensure that best results for you. These pyramids can be used for any variety of workout regimens, ranging from fat loss to strength training. They are simple and extremely effective, and you can use them to combine exercises to ensure that they become even more effective. Close your eyes and visualize a pyramid in your head. There is a wide base that gradually rises to a smaller and smaller point, until it ends at a single top. 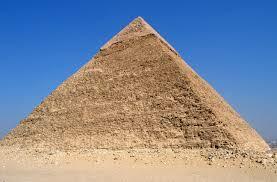 The way a traditional pyramid is built is the way that you will be building your own pyramid. 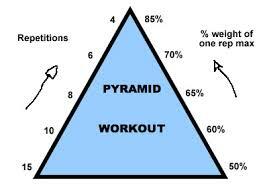 You will pick a certain number of reps and then work your way down the number until you reach the top of your pyramid. For example, you could begin with ten reps, then rest, then perform nine reps, then rest, then perform eight reps, then rest, and so on. You will repeat this patterns for as long as you want, until you reach the final number of your pyramid. As you can tell, there are many unique advantages that come from training through the pyramid. For starters, you will be able to use the same exact weight for all of your sets, which can add a nice layer of convenience to your workout. As you get more tired, the number of reps that you perform will become lower and lower, making it easier to complete your workout. Mental motivation is a large part of pyramid training, and, mentally, it is much easier for you to focus and maintain your motivation as you go down the rep numbers with your every set. The pyramid method is extremely versatile. You can use it for conditioning, fat loss, hypertrophy, or even strength training, depending entirely on what you want. 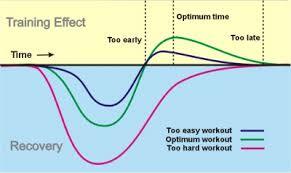 There is also practically no limits to the combinations of exercises and rep schemes that you can enjoy. It is simple one of the most effective ways to train, and you will find it easier than ever to get started with a good pyramid training method in mind. For all types of strength training, the higher the weight at a relatively low number, the better you will train, so long as you keep your form correct. For a lot of heavy trainers, the magic number has always been five reps. If you perform anything higher than five reps when you are weight training, you will risk ruining your gains. Doing singles is not recommended either, as it can lead to injuries and the negative type of fatigue. As such, the best method of getting stronger involves working with a pyramid down from five reps.
You can apply this exercise to just about any type of weight training, so long as you plan ahead with your weights and reps. It can be as easy as finding the right starting weight and then working your way down. Begin with five reps and then rest for two to five minutes. Then continue down to four reps, resting for the same amount of time, then three, then two, and then one, finishing your strength training workout. 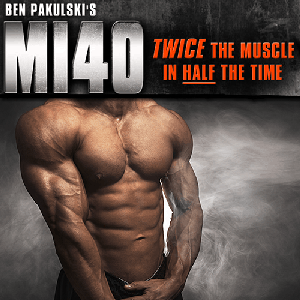 For building muscle, the magic number for most trainers can fall anywhere between five to twelve reps. However, with squats, this number can be as high as twenty, but, for the most part, focusing on a number that will work for you as a starting point is the best way to introduce your body to a hypertrophy training regiment. A nice and conventional range to consider is usually between eight and twelve reps. With this range, it can be a good idea to start the bottom of your pyramid at twelve reps, and then finish it at eight. Here, you can start in the same way, performing twelve reps, resting for about a minute, then eleven, then resting again, and so on until you reach eight reps.
With every following week, you can increase the basic weight by anywhere between five to ten pounds and repeat the same basic pyramid as it is convenient for you. With muscle building exercises, it is always a good idea to train with opposing muscle groups together. Training your back and your chest together is a very strong combination, much like biceps and triceps, and even quads and hamstrings. 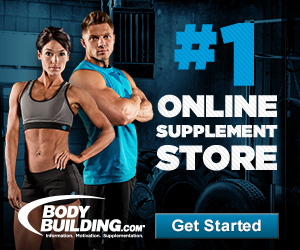 While this may seem like nothing new to experienced body builders, it is still important to adhere to the pyramid effectively in order to get the most from your exercises. With this type of pyramid method, you will focus on alternating your exercises, starting with twelve reps for your chest, then moving on to twelve reps for your back, then eleven for your chest, eleven for your back, and so on until you reach eight reps in both exercises. While it may seem confusing at first, incorporating this method of exercising can be a great way to adhere to any regimen.